Triton's XTD11-101 aluminum trailer is a two place, tilt trailer with a v-nose. It's lightweight and smooth to haul it won't even feel like it's there! 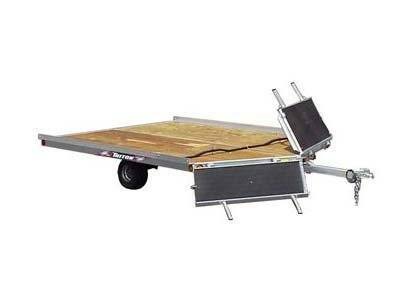 Great standard features like a rubber torsion axle, marine grade plywood deck, sealed lights and wiring, all aluminum frame and a full lineup of accessories make it a versatile trailer. It's highly recommended to install the optional DOS shield and a spring or gas shock lift kit to get the best use of this trailer.